Raise your hand if you feel like every year it becomes harder and harder to shop for friends and family? Whether it’s for the family member that seems to already have it all or your minimalist friend who cringes at the thought of clutter entering their home, where do you even begin?! First of all, deep breaths. I believe that it is in fact possible for you to find something for everyone on your list. To help out with any shopping angst, we’ve put together a guide of thoughtful, creative, and sustainable gifts for this holiday season. The key behind a lot of them is that they are consumable - aka you appreciate it, enjoy it and then are able to recycle or reuse the item. Enjoy browsing through the selection and leave a comment about your favorite item or even something that you think should be added to the gift guide! Planning on gifting some homemade cookies this holiday season? Why not give them away in a reusable container such as this one? This beautifully handcrafted Vitruvi diffuser allows you to diffuse essential oils throughout your home while blending in with the rest of your decor. Super clean, unisex blend of bright tones and warm sandalwood the Cactus Soy Candle is one of Naked Goat Soap Co.’s most popular candles. I love that I can burn these in my home without having to worry about breathing in harmful fragrances or products. I’ll be honest… I can never have too many canvas totes! This one from Made is the newest addition to the family and is going to be a part of a special TAG GIVEAWAY over on Instagram starting December 6th! I literally jumped up into the air and ran to give my brother a hug when he gifted me with my Apolis Market Bag a couple years ago. It’s perfect for shopping at the farmers market or grocery store and/or traveling as it holds a lot, is sturdy (it can hold over 100 lbs.) and has a water-resistant lining on the interior. One of the best parts though is that this bag helps support women who receive fair wages for their work. My mom actually came up with this gift idea when she suggested to me that I give my grandma some nicely printed photos of my husband and I for Christmas this year. It inspired me to print some not only for her but for myself! While we are able to see photos of people online there is something nice about having a physical copy to have framed at home. After reading through You and Me Forever a little over a year ago, my husband and I have never viewed marriage the same. In this book, Francis Chan and his wife Lisa address the question that many couples wonder a the altar: “How do I have a great marriage?” Setting aside typical topics on marriage, Francis and Lisa dive into Scripture to understand what it means to have a relationship that satisfies the deepest parts of our souls. For those who are looking to adopt a simpler, more sustainable lifestyle this is the book for them. While there is certainly an emphasis on creating a zero waste home author Bea Johnson also discusses how to live with less, going room by room and offering practical advice. 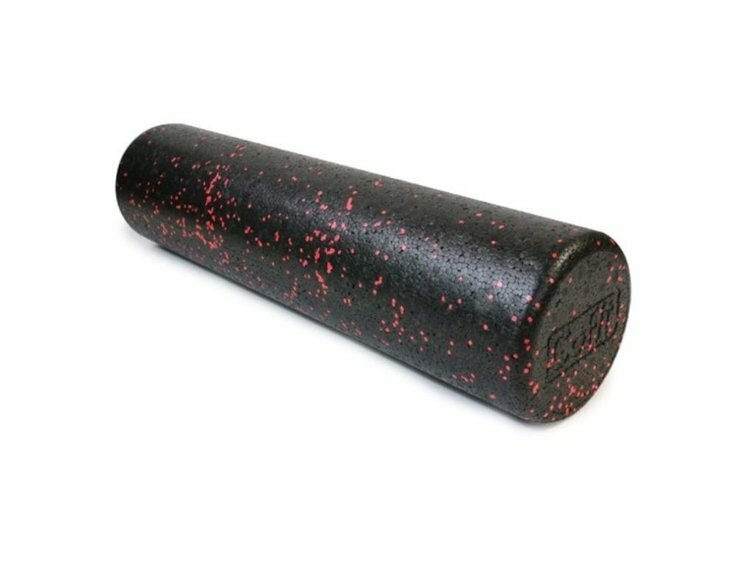 This foam massage roller from REI is seriously one of the best purchases that I’ve ever made. I use it just about every day - sometimes even twice a day - to massage sore muscles. Whether your a runner, work in retail or sit at your desk most of the day - this is a wonderful tool to use to unwind in the middle or at the end of the day. Along with fresh flowers, Yogi’s Honey Lavender Stress Relief tea is one of my go-to’s when it comes to gifts for my loved ones. Whether their going through a challenging time, struggling with anxiety, or having trouble sleeping at night this tea is always a welcome relief. It pairs beautifully with a gift card to a spa or with a fresh bouquet of flowers, when given as a gift. The Kora Organics hydrating moisturizer or really any other their products, would make a beautiful gift this holiday season. Certified Organic and made with quality ingredients, these products are soothing and effective for all skin types. RMS’s lip2cheek is a unique formula that combines hydration and protection with abundant mineral color for a beautiful, natural finish on both lips and cheeks. Created with nourishing organic ingredients, each unique shade can vary from a youthful sheer to a more densely colored stain. Looking to create something personal but are short on time? This is the gift for you. It’s super simple and inexpensive to make; all you need is a glass container, non-scented Epsom salts, several drops of some rose essential oil, dried rose petals and lavender buds. Combine all of the ingredients together and volia! Each Storyline piece captures a feeling, attribute, or aspiration and gives opportunity to a woman across the globe. This delicate necklace says, "My faith is my abiding comfort and solace. Through it, all things are possible." Perfect for everyday wear, each piece gives opportunity to a woman across the globe. Wear yours as a reminder that your story matters—and so does hers. These handwoven Moroccan towels are perfect for a day at the beach or to be used as your everyday bathroom towels. Very chic. The Cause Cap continues Miscoots Outfitter’s mission to employ the transitioning homeless and make the best-made products possible. With a sweater-knit face and fleecy interior for warmth, this go-anywhere men's jacket works equally well as urban outerwear or layered in the backcountry under a shell. Ethically made in California, this finely crafted pocket square is an eye-catching addition to any outfit. The American made, Apolis co-branded Fisher AG7 Space Pen is made of brass with a chrome finish. Fisher patented this anti-gravity, refillable ballpoint pen in 1966, and it was used on the 1968 Apollo 7 shuttle. Their technology uses nitrogen to pressurize the ink cartridges, allowing the pen to write in zero gravity, upside down, underwater, and in extreme temperatures. A classic toy for children of all ages, this beautiful, handcrafted building block set is made of smooth rubber wood. The set encourages children’s creativity while teaching shape and size recognition while helping them to promote hand-eye coordination. Nerchau of Germany makes this vibrant selection of 24 outstanding quality watercolours, packaged in a sturdy plastic case. The double-layer set includes a fine brush and a tube of white mixing paint. These outstanding watercolors will surprise you with their brilliance, fluidity, and longevity.